설명서와 같이 슬라이드스톱 상태에서 아웃바렐을 돌려주시면 분해할 수 있습니다. 가스건을 소장하고자하는 분께 추천해 드릴 수 있는 초소형 사이즈의 가스블로우백 CT25 핸드건입니다. 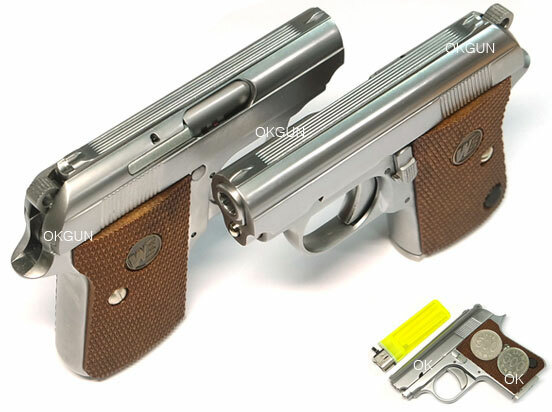 The mini pistol came chambered in .25 ACP and featured with a six-round, single-stack magazine. magazine catch at the bottom of the left grip panel for releasing the magazine. line in 1968, when the federal Gun Control Act halted the import of non-sporting firearms.